This breed is a very popular dog in the United States. They are excellent family pets that are loyal to all members of the family! If there ever was a water dog, this breed is it! They could spend their entire lives in the substance! Remembering my years of medical practice in Ohio, the only thing that would keep a Labrador Retriever out of the water was if it was frozen! Labrador Retriever dogs are best suited for owners that have a lot of land for them to run around on plus the time for obedience training. This make handling much easier plus learning other social etiquette such as not jumping up on people and having food taken away from them. 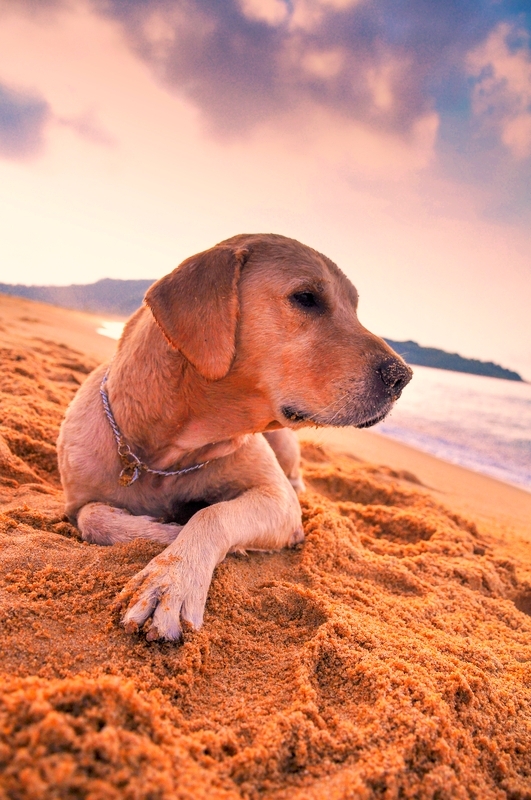 Labrador Retriever dogs can be on the stubborn side and a bit more difficult to train. They rarely socially mature before 4 years of age! This breed comes in several models: black, yellow or chocolate. This is much better than what Henry Ford said about choosing a car color- “They can choose any color, as long as it is black”. In the animal kingdom, color often is associated with certain behavioral traits. The black Labrador Retriever is usually more active and high-strung than the yellow Labrador Retriever which is more active than the chocolate Labrador Retriever. The latter, is usually quieter and doesn’t bounce off the walls like a black Labrador Retriever will do! The female Labrador Retriever is more docile than the male as a general rule. Any Labrador cross will often LOOK like a purebred lab but they all have a white blotch, varying in size, around the base of the neck. The Labrador Retriever’s biggest problem is ear infections. Since they love chewing on anything made of wood such as sticks, these items can cause oral lacerations or wood can become wedged between the upper canine teeth causing a nasty infection. The animal has to be sedated and the foreign object is than removed. They always require antibiotics to clear up the oral bacterial infection. With all their warts (we all have them, don’t we?) the breed maintains its popularity for being sweet, loving, loyal animals. Their gentle personality also leads them to also be wonderful service animals. Service animals fill many roles in today’s society. Dogs are often employed as seeing eye dogs, animals trained to visit the sick or elderly in a hospital environment or senior center. It has been found that human blood pressure decreases when they talk to or pet an animal. The breed is a special dog because all it wants to do is please its owner and asking for nothing more than love in return. Learn more about the Labrador Retriever at Animal Planet’s® Dog Breed Selector.